With a new look and new single "Ghost Town", it seems that Adam Lambert might be embarking on a full out Taylor Swift-esque transformation, and he's barely recognizable — especially when you compare Adam Lambert's performances from before he was famous to now. "Someone said to me 'Oh, you're not wearing all that crazy sh*t, are you trying to tone it down? And I was like 'No, I just got tired. F*ck! It was a lot of work!" Lambert said in an interview with Notion. He's clearly changed a lot as an artist. According to Lambert, his new album The Original High also marks a new direction for the former glam rock theater kid turned American Idol contestant. He told Notion, "The album is dance-y but bittersweet, and the lyrics are a little darker [than they have been previously]. 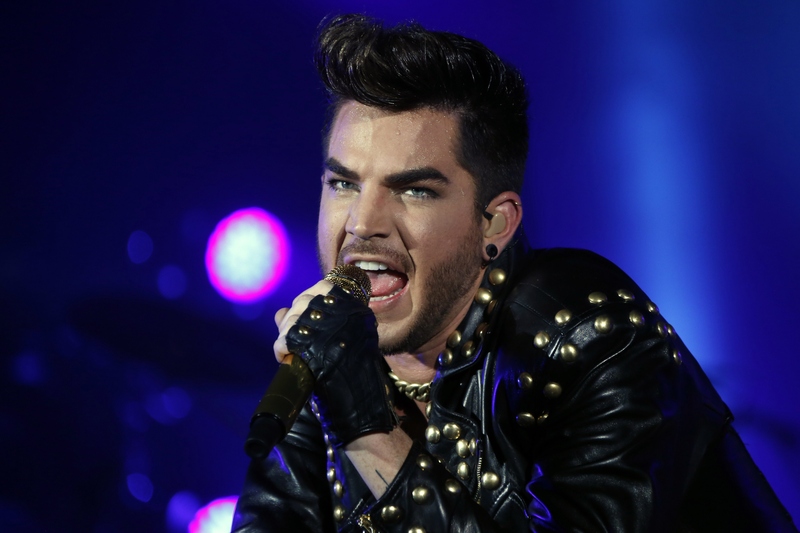 I've done the more bubblegum stuff, I've done the camp stuff, and now I want to encourage people to face their sh*t." Now, Lambert says he wants his latest album to "show them the part of me that's not all polished or [still part of] the 'pageant on TV' thing — I want it to be real, you know?" When he was a high school theater kid clearly destined for bigger and better things. Not sure what's being advertised here, but shoutout to Adam Lambert's hair for working that '90s middle part. Pre-American Idol moments from 1999-2005. And starting to grow his signature hairstyle. That pivot turn. That messenger bag. That brow game. SO. STRONG. The official start of his mainstream pop career.